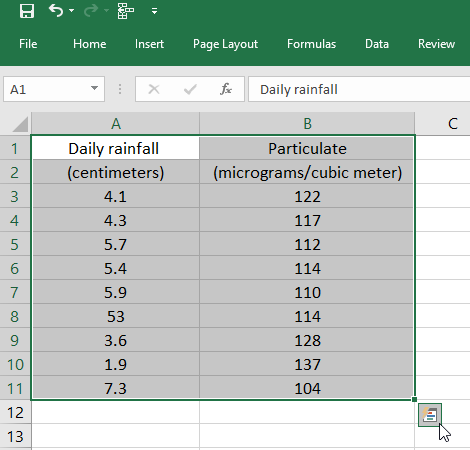 Excel's Quick Analysis button lets you instantly create different types of charts, including line and column charts, or add miniature graphs called sparklines. Select the Quick Analysis button that appears at the bottom right corner of the selected data. Or, press Ctrl + Q. Hover over the chart types to preview a chart, and then select the chart you want.